What Kind Of Diaper Bag Should I Pack? What kind of bag should you pack and why? There are so many ways to pack a diaper bag, and every which way could be the right way. When I pack a diaper bag, I take into account, how long I’ll be out, if I’ll be alone or have help, and where I’ll be. If we’re going on a day trip, I might choose the Disaster Pack. If I’m heading to the Costco or the market, I might choose the Minimalist Pack. If I want the best of both worlds, but don’t want to break PRs with the weight of the bag, and definitely don’t want to cancel a day trip because our son decided to poop through his extra outfit, then the Complete Pack it is. I thought simplifying the types into 3 categories might make it easier for you, so here’s an explanation and example of each. Feel free to add or remove items as you see fit. Saving back pain and shoulder strain for the real important weight—your baby. This bag is packed in an effort to make finding items easy, getting in and out of places faster, and reducing the weight you have to carry. 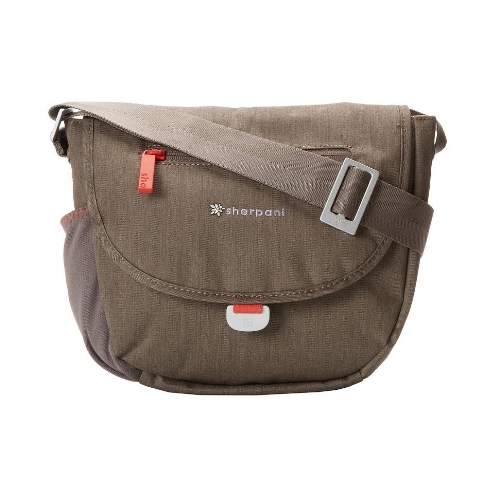 Dads like this one because it can be packed into other types of bags like back packs, and messenger bags. But what’s inside? This is a minimum. Anything less is a gamble you’re sure to lose, especially if you’re out and about for a while. I would avoid brining dry wipes unless you’re 100% sure you’ll have a water source on hand. But if you’re like most parents, you sometimes have to make due with changing your baby in the back of a car with no water bottle in sight. Add the extra OZ and get the wet wipes. You can alternatively pre moisten dry wipes and use a sandwich size Ziploc to carry them, but be warned that on a hot day the wipes will dry up very quickly. This doubles as a burping cloth or a feeding cover for mom. You can also use it as a changing pad. 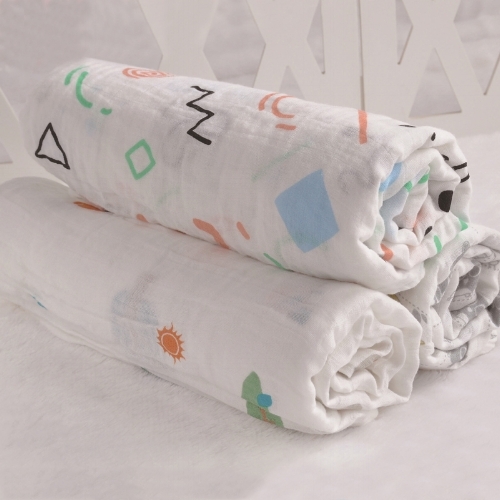 Then there’s always that random mess your baby can make via “blowout” or projectile spit up, and the swaddle can easily convert into a rag for cleaning up the mess. The preceding items need to be put somewhere after use, and sometimes hand delivering these soiled items to the acceptable receptacle, or in the case of a salvageable swaddle, back into your bag, is going to be necessary. Avoid making a scene or a bigger mess by putting them into the Ziploc. This should also seal away unwanted smells. Your baby is easily entertained by your face and your voice, but in the middle of ordering a black tea lemonade from your coffee shop while a queue of caffeine deprived zombies waits impatiently behind you, you may not have time to entertain your little one. Hand over the toy, and reduce your stress. 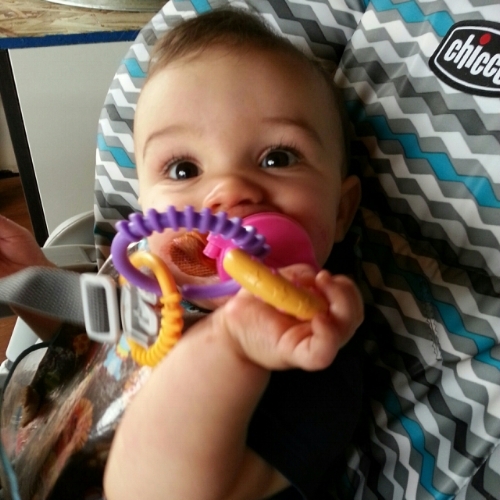 I used to pack a teething toy that doubled as a rattle—bless the soul at fisher price who invented such a thing! For the love of sanity, please do not make mom H-ANGRY! Pack a nutritious snack that’s balanced in fats, proteins, carbs, minerals, and vitamins. A wholefood granola bar works very well. 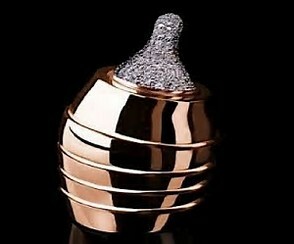 It can help you pacify her H-ANGER while navigating to the nearest restaurant. You’re prepped for typical day to day baby outings. It’s not the heaviest bag around, but it isn’t fun carrying it all day. Hopefully you have a compartment in that stroller of yours or you can at least hang it on the handles when you’re tired of carrying it. Getting in and out of places with it shouldn’t be impossible, but it requires some maneuvering. Most consumer bags are marketed for this type of pack. Because in this case; lighting can strike twice and if you’re not prepared you’re going to get hit again. Pack the extra diapers, even if they get in the way of easy access. It doesn’t have to be sealed pack, but it should at least be half full. 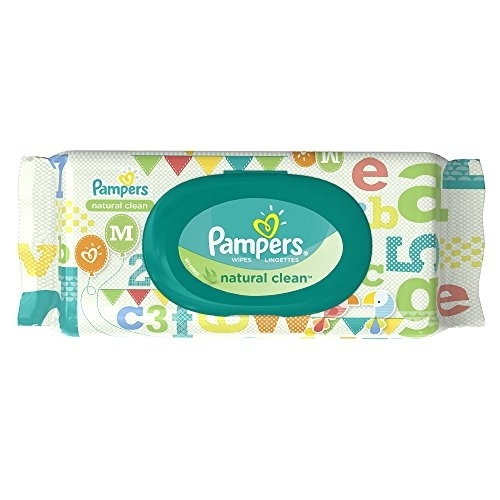 They’re great for baby cleanup, but can be used to wipe down other surfaces like car seats or your hands. One dedicated to baby, and the other for mom, or changing pad purposes. 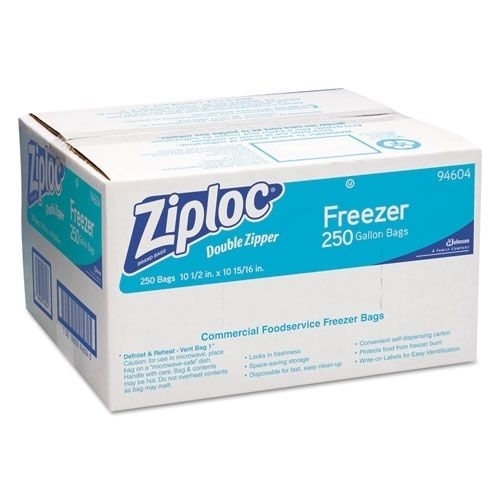 The gallon Ziploc is great for small items, but sometimes you have to put baby’s clothes, and even mom’s shirt somewhere, and the bigger bag is very useful for separating trash and items you need to sanitize and reuse. Almost all baby toys can be chewed on, but there exists a toy that can be soaked with water, and then frozen, to create a teething toy that truly does soothe a fussy or bored baby. The frozen teething toy can also be used to cool baby down on a hot day. Get the granola bar, but don’t forget to pack a couple of bananas or a bag of grapes. Variety can make the H-ANGRIEST of moms calm down. That extra outfit is a standard, and should get you home before the next mess. 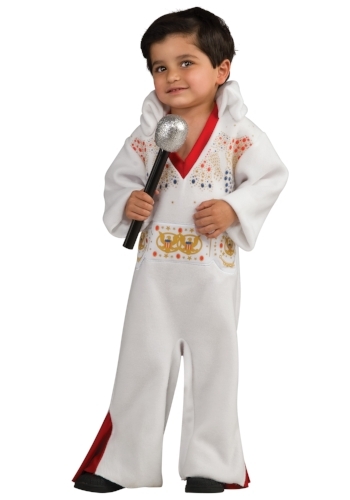 Plus, this pack isn't complete without a backup Toddler Elvis Romper--I always carry one! Because spit up is known to get through swaddle barriers. Mom doesn’t want to walk around with a stain that sorta looks like a US state if it was runny and milky white. This bag goes the distance. If you’re spending the whole day out, and you have no intention of letting some soiled diapers change your plans, then this is the pack for you. Great for trips to the zoo, or a visit to grandma’s house a few hours away. Getting in and out of places with this bag can be difficult, and getting through store aisles or crowded places may require some knowledge of Olympic Weight Lifting movements. The Poopacalypse is real. My son has been known to go through diapers one change after another, and if it wasn’t for over packing diapers I would have been wrapping him in newspaper at times. Open packs were reserved for home use at times. Full packs were great for standard use and came in handy when we went on long trips and didn’t want to risk paying a premium for a travel pack in an emergency. I bet Vincent Vega wish he had a full pack of wipes in that car of his. Standard, one for baby, and one for mom or changing pad. Standard! Keep things separate and smells sealed up. Easy to setup, with 360 degrees of coverage. Great way to feed baby IF mom wants to cover up. Variety is your friend, especially on long days out. We once had to run into a local target to get our son some clothes because he was trying to break a record for the Most Blowouts in One Day by a fussy baby. Just pack the extra outfits and destroy the evidence if you have to. Because dads know how to burp babies too. Apparently there are no sinks & soap on long roads in the middle of nowhere. I carry one everywhere even to this day, but I’m talking about a sealed bottle in the bag for multi-purpose use such as rinsing items, or washing hands. Trust me, it’s only an extra 16oz. 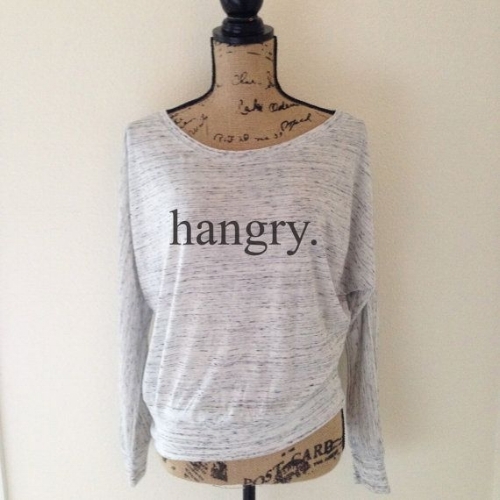 Being H-ANGRY isn’t just reserved for moms. Feed the beast inside dad with a healthy snack, and watch prince charming return. Keep it clean, keep it separate. A barrier works wonders, and can be a life saver in not so sanitary public restrooms. Plus most have pockets where wipes and diapers fit snuggly and can be moved easily to the appropriate destination. Again, these aren’t the only ways to pack a diaper bag, but they should get the gears moving. Let me know if I missed something. If you have any questions about this topic or questions about Doula Services, Childbirth Preparation Classes you can Contact Us Here. Follow Us on Facebook, and Instagram too! There are a few things to expect when your baby arrives: Your baby will eat (a lot). Your baby will be a diaper-soiling machine. Your baby will sleep like a baby. But let’s get one thing straight; sleeping like a baby doesn’t mean your baby will sleep through the night, or as long as you’d like either. Heck, what it really means is you’re not going to get the sleep you want either, but that’s okay. The best thing you could do in preparation for your newborn is set realistic expectations for their sleep habits, and your sleep habits too. Now if you’ve already had your baby and it’s 3 am while you’re reading this, then it’s still not too late to adjust your expectations. Babies aren’t ideal sleepers, but that’s adult perception. Babies are all different, some sleep 10 hours straight others sleep 10 minutes straight. If you’re having a hard time with sleep, you are not alone! It doesn’t stop there though; there are a few things you could do to create a better sleeping environment for your baby and in turn you. Do you sleep with one leg out from under the covers? Do feel better rested when the ac is on? That’s because humans better sleep when it’s between 65-72 degrees Fahrenheit. That’s exactly the temp needed for your little one too. Set the thermostat to the desired temp (we used 70°F) about 30 mins to 1 hour ahead of time to make sure it’s ready to go. With the holidays upon us, we’ve got some eating to do. Remember last year after thanksgiving dinner, how you fell asleep (food coma) and woke up like a week later, still full? Going to bed after a good filling meal helps you sleep longer, and it does the same for baby. The nice thing is there is no real cooking involved to feed your little one if they’re still on milk. It’s even easier if your breast feeding because it’s on tap and the white gold is known to have a balance of nutrients, hormones, and other magic that helps induce longer sleep. Get that last meal in before your baby hits the swaddle, and watch as you squeeze in some uninterrupted sleep for yourself too. I used to fall right asleep when mom would tuck me in nice and tight as a kid. To this day she still tucks me in (just kidding! That would be weird! )—but I definitely find myself pulling the covers tightly around myself while sleeping. If you’re “swaddle game is on fleek” as I’ve heard the millennial parents say, then you’re going to reap the reward of longer sleep for baby and you. Your baby is used to sleeping in a nice cozy environment (mom’s belly) and the swaddle can emulate a similar environment and lead to longer sleep. Also, no one has ever said “swaddle game is on fleek” but that doesn’t mean we can’t start using that saying! Who’s with me?!... Okay I’ll stop. I’ve heard about parent’s putting their baby to sleep while they hold them in one arm and vacuum with the other. Apparently the sound has sort of a white noise effect, but I’m a little weary about the balance it takes to accomplish this feat. If you’re going to try this, maybe you can just turn it on and have hubby vacuum while you rock baby to sleep (might get him tricked into actually cleaning. Ha!) BUT this isn’t the tip, the tip is to be okay with some noise. Getting baby used to sleeping through mom and dad having a conversation in the other room, or watching tv in the living room, or even some light cooking is a good thing. My wife and I used to talk, lightly clean, make dinner, watch a movie, etc.. The ambient noise cannot be avoided forever, so don’t even try. So long as you’re not at yelling and banging pots and pans, you’re allowed to make some noise. P.S. There is research that proves the sound from a 1966 Ford Mustang or Camaro engine is the perfect lullaby for a newborn. It has to be authentic though, scientist have proven that recordings don’t work… You’re welcome dads. I can catch a snooze in most situations like a noisy environment, backless stool (I’ve told some of you that during the birth story at the end of Bradley Method Class), a bright room, etc.. My wife on the other hand is a lighter sleeper. Her kryptonite being a “bright room”, like we’re talking moonlight bright. So we bought blackout curtains, and they work great. The blackout curtains keep it dark, but it also keeps the temp constant in the room too. How does this help your baby sleep? Well if you remember earlier, I mentioned that they were used to sleeping in the womb because of coziness, well, it’s also very dark in there. What you’re doing with the blackout curtains is replicating the environment your little one was used to in the belly. Not that I needed them, but they even let me sleep better. I hope this helps you reclaim some sleep, or at least give you some more consistency. Routine is your friend, so even putting one of these tips into play consistently will help you and baby. Your baby’s sleep is exactly that, and although it can be frustrating for you as a parent, it’s a normal thing. Babies are designed to cry, and fuss, and wake up, they are great indicators that your baby is healthy, and thriving. You’re baby isn’t abnormal, and isn’t asking you to let him/her cry it out (that won’t let anyone sleep). Above all, understand that your new sleep routine is just that, it may not be ideal or even “get better”, but being open minded, and shifting your expectations on what sleep is supposed to be like, will help you avoid stress and feel better rested overall. Lastly, this won’t be forever, sleep patterns change and can get better, or you will get used to it. If you have any questions about this topic or The Bradley Method and Doula Services, please reach out and CONTACT US HERE. You can also connect with us on FACEBOOK, INSTAGRAM, TWITTER, and PINTEREST! What Is Co-Sleeping? What Is Bed-Sharing? What Is Room-Sharing? You’ve probably heard about one or all, and most of what you’ve heard or read is probably conflicting. On that note, this post shouldn’t be the only one (or even the last) you read on this subject. Doing your research will help you make an informed decision, and help you create a safe sleeping arrangement for your family. So what is co-sleeping and is it different than bed-sharing and room-sharing? Let’s find out! Co-sleeping is a practice in which families choose to share sleeping arrangements with their children. Co-sleeping has two subsets; bed-sharing and room-sharing. 3. You in the bed while your baby sleeps in a traditional crib that is placed inside your bedroom. Why would you choose to room-share? Why would you chose to not room-share? 1. Baby on the outside, mom in the middle, and partner on the opposite side next to mom and away from baby. This is done because mom (who is typically breast feeding in these situations) is hyper aware of baby, and dad/partner is also aware but physiologically unable to stay as aware as mom throughout the sleep cycle. 2. Mom on the outside, baby in the middle and dad/partner on the outside too. This sleeping arrangement does require both parents to sleep lightly and both parents to be very in tune to their parental instincts. Why would you choose to bed-share? Why would you chose not to bed-share? Regardless of the arrangement, your baby should always sleep on its’ back and the sleeping surface used should always be firm. Avoid loose items such as toys, pillows (yes even for mom), and loose clothing on mom or baby. Air permeable surfaces increase safety but it should be noted that anything air permeable is also not waterproof. Avoiding sleeping while under the influence of alcohol, cannabis, prescription drugs, tobacco and other mind/body altering substances is always the safest route. Also avoid sleeping close to window blind cords, or any loose cords for that matter. Co-sleeping is widely accepted in almost all cultures around the world (except westernized countries) as a standard sleeping arrangement. However, popularity on the subject has also led to an uptick in westernized families adopting the practice. The interest in the subject has also led to, experienced co-sleepers, and leading sources on the subject to publically voice their opinions and state facts on the pros and cons of co-sleeping. A simple google search on “co-sleeping benefits” or “what is co-sleeping?” will yield results from notable authors such as DR. WILLIAM SEARS M.D., March Of Dimes, Cosleeping.org, attachmentparenting.org, DR. JAMES MCKENNA (Univ. Notre Dame), and many more. There are arguments/opinions that state co-sleeping is dangerous and that there is a link to increased infant mortality. On that note, there are also arguments/opinions that state co-sleeping is safe and that there is link to the decrease of infant mortality. I feel that when equipped with enough knowledge, parents can make the best decision based on their health, safety, happiness, and goals. We tackled the subject by having a conversation about it before our son was born. We talked about the pros and the cons, the financial implications, safety, bonding, everything really, even our intimacy. We decided to start by room-sharing, then we moved to bed-sharing with mom in the middle, and finally to bed-sharing with our little one in the middle. To this day (our son is almost 5) we still bed-share. We do this because it’s the right thing for our family. If you have any questions about bed-sharing, birth-prep classes, CPR, or doula services, you can CONTACT US HERE. Follow us on INSTAGRAM HERE and FACEBOOK HERE too! Baby showers, congratulatory gifts, registries-galore—there is so much to buy (especially during the nesting stage). But you might not need it all; even if the experts say you do! Save a few bucks and put them into your savings account instead with these tips on what not to buy. There are a few things that play into what you should buy to prepare for your baby. The biggest thing being; advertising! Yup, those ads in the moms groups, or the commercials between your favorite shows, and even the social listening ads you see when you log into Facebook, play a big part in what you buy for your baby. When you’re becoming a new parent (again too), you tend to be easily persuaded by advertisements. Claims that, the high-tech thingamabob is going to ensure your baby is extra safe, or that the luxury material on the whatchamacallit guarantees a baby that sleeps through the night, are everywhere. That’s how a ~60+ Billion dollar industry makes their money. Estimates say that new parents will spend approx. $12,000.00 on their first baby in the first year alone. By the time you’re done making the list of necessary purchases, you may think “Does my baby really need ALL of this?” or you might just unknowingly swipe the Babies-R-Us card (for the perks of course). I hope you read this before you swipe the card, it might save you some green and free up some garage space. Here’s a list of items you most likely don’t need. 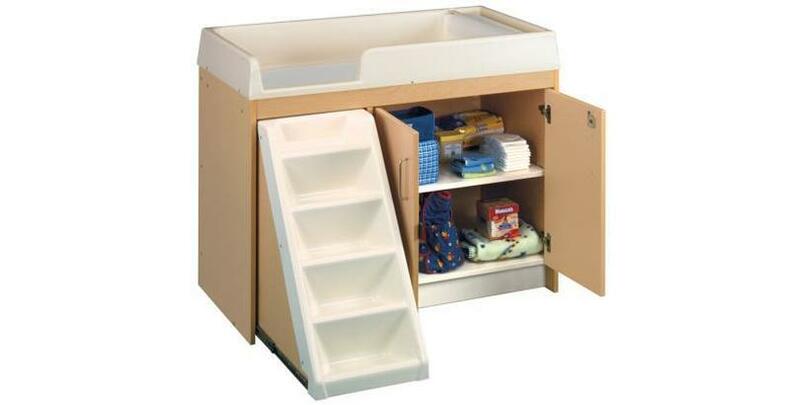 When our son was born, we went out and bought a very aesthetically pleasing changing table, with shelves for necessary items like diapers, wipes, and a plethora of unnecessary items like a baseball themed “peepee cover” (you know, so you don’t get tagged while changing a diaper). We really believed that the changing table was necessary, and we started using it immediately. But just as quickly came the sense that it was more cumbersome than useful. At night we had to get up, pick our son out of bed (we co-sleep), carry him to the changing table, wrestle out a diaper in a sleepwalker state of mind, then clean him and dispose of the evidence all while holding an awkward position between leaning in and leaning over. As time passed—like a few days, really—it became easier to stack a few diapers and wipes on the night stand, and change him in bed. The changing table eventually became the diaper rack/baby clothes pile holder/my work suit hanger (I know some of you know what I’m talking about). A couple hundred bucks that would have been better spent on more diapers; because that’s how diapers go. First of all, if your baby is being breastfed her diapers aren’t going to be as putrid as the Arm-N-Hammer filter says they will. It’s known that formula fed babies can make more interesting odors than breastfed babies. Regardless, like beauty in eyes, odors are in the nose of the smeller, and your baby’s diaper might make you suspect they’re eating nuclear waste. Don’t run to BuyBuy Baby just yet though. Diaper Pails aren’t things that can really be reused, or re gifted, and when your baby is old enough and graduates the diaper stage, you’re going to send it to the dump. If you’re stuck on the idea of locking up some offending diapers in a diaper coffin, then go to Target, buy a lidded waste basket, some doggie business bags, and baking soda. 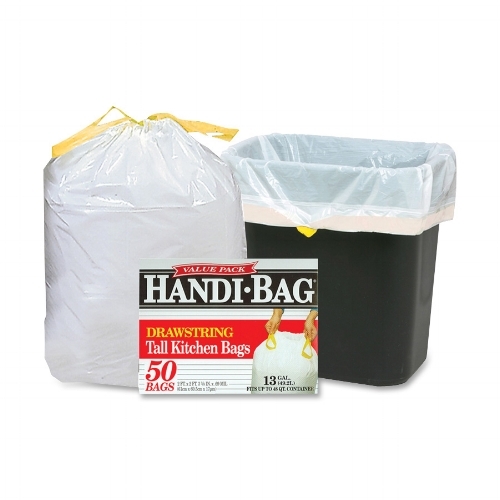 Add baking soda to the bin, package the diaper in a doggy bag, and send it to diaper afterlife in the receptacle. Saved you some bucks, and you can still reuse all the items even after baby graduates the diaper stage. This one is based on sleeping choices. For us, we co-sleep. Not having a crib just makes sense. We started with a crib, and tried to get our son to enjoy his personal sleeping space. The only accomplishment was watching my son cry, and not getting enough sleep. We quickly felt we should try other things. We tried the bassinet for a while, and that worked well. As soon as he was strong enough to roll around in it, we moved him into our bed. Of course we did our research on co sleeping, and made some adjustments on our sleeping positons, but it worked great. We sold the crib, and invested in some waterproof sheets. Ha! Let’s make this one super simple… Your infant cannot walk! But what happens when he/she learns to walk? Great question! There is such a thing, that looks very cute, yet cost so little…socks (with bottom grips if you must), and they’ll work fine for the type of walking your little one will be doing. Now, if your 10 month old is found hiking a 5K, please purchase some baby hiking boots, and a shaving kit, as he’s probably the most interesting baby in the world. When you do get to an appropriate age/foot size, my advice would be don’t spend too much right away—those toes do grow fast. When they can fit in a shoe for at least 6 months, invest in some reinforced play shoes. Nikes will turn into spaghetti real fast. Save your baby from a hazard. Fluffy blankets can be heavy, insulating (overheating), and a choking hazard. Your safest bet is going to be a receiving blanket, or a swaddle blanket. These types of wraps are ventilated, appropriately insulated, and easy to clean. Thank Nana for quilting that awesome keepsake, and then hang it on the wall or keep it in the garage until she visits again. Have you heard of heat? Your hands give it off. Rubbing/holding a wipe in a closed hand can warm it right up. No fear of burns with this method. I’m not going to lie, if you happen to not warm the wipe in your hands long enough, the slight coolness may surprise your baby. Don’t worry though, they get used it, and it’s not torture. I’m sure your mom and dad didn’t have an electric wipe warmer, and you’re fine, but if you really want to spend money in the baby wipes section, use $100 bills. Well this one is a toughie too. I’m not saying to walk around the shopping mall holding baby in one hand, while carrying a diaper and wipes in the other hand. I’m suggesting (from experience), that a backpack (even one with only 2 compartments) is more than good enough. I saved a hundred bucks, when I went to H&M and bought a backpack with a drawstring, and button closure (like one of those hipster bags) instead of the dad bag I really wanted. In my defense, the dad bag was a manly diaper bag. If you pack logically; wipes, diapers, snacks, bottles, clothes, are pretty easy to access and manage. Most diaper bags aren’t anything more than a confusing puzzle of extra pockets with an outrages price tag. As our son got older, carrying extra clothes, and snacks is still very practical in our bag. As always, if you have any questions on this subject, or questions about Infant CPR, Childbirth Prep Classes, Doula Services, Placenta Encapsulation or Newborn Photography, you can CONTACT US HERE. Follow us on INSTAGRAM HERE, and FACEBOOK HERE! In this blog we have our in-house lactation expert, Jennifer Horne, explaining how you can make breast milk pumping easier and more manageable. Let’s face it, pumping is a lot of work. Besides the time it takes to actually pump, there are parts and bottles to wash, there’s your pump bag that needs to be prepared each day with supplies, and finally there’s the time to feed your baby. But for moms on the go especially working moms, pumping is a necessary part of breastfeeding. This may sound obvious but have your baby drink out of the bottles that come with your pump. It will save so much time transferring milk and washing extra containers. Plus this will avoid the dreaded spillage of breast milk! If your baby won’t take the pumping bottle, try to see if your baby’s favorite bottle will screw into the pump. For example, the Dr. Brown bottles fit nicely into the Medela Freestyle pump parts. Pumps come with many parts that need to be cleaned constantly. To save some time at work, buy an extra set of parts. Consider leaving one set at work just in case you forget them. Another time saver is to put your fully-assembled pump parts in the fridge (covered with a plastic bag) in between pumping sessions. This may not be ideal for all moms but for some it’s ok to skip a washing or two. However, at the end of the work day, all parts should be thoroughly washed and dried. Don’t forget that parts can be washed on the top rack of the dishwasher! They say women are the best multi-taskers so why not free your hands while pumping to get other tasks done. There are several pumping bras out on the market but you can also make your own. Simply choose a front closing sports bra and cut two small openings in the front. For smaller breasted women, you may be able to just slip your pumps into your regular nursing bra. Don’t forget to leave an extra shirt at work and avoid embarrassing milk stains. If you have a long commute, consider pumping in the car. Most electric pumps have a car adaptor. You will want to do this with a double electric pump and go hands free. Use a jacket, a large sweater, or even a scarf to keep your pump concealed while driving. You could even check out the latest technology in breast pumps, Freemie. The Freemie breast cups are compatible with most pumps and are easily concealed under your shirt. You can pump on planes, trains, and automobiles. Although most commercial double electric pumps will do a great job efficiently removing milk, if you truly need to boost your stash try a hospital grade pump (requires a prescription). Hospital grade pumps are typically more powerful and as a result they require a shorter pumping time. These pumps also tend to be much quieter. However, most insurance companies do not cover these pumps. The most cost effective way may be renting one from your local hospital or an online lactation store. There you have it; hope this helps, and maybe inspires you to pump while you read our next blog. We hope you enjoyed this post. If you would like to learn more about this topic or would like to take a breastfeeding class near you CLICK HERE! If you have questions you can CONTACT US HERE. Follow us on FACEBOOK HERE, and INSTAGRAM HERE! Should I See A Chiropractor While Pregnant? Is It Safe? Yeah! You should see one after your pregnancy too! Here’s why. The thought of having someone crack back bones while your 9 months pregnant is a bit scary. But it’s also a bit misguided too. Chiropractic work isn’t just about cracking bones; it’s actually about proven techniques that are used to perform “adjustments” and align your body/nervous system so that it is better able to heal itself. Pregnant women can suffer from pain in their back, hips, and joints, but they don’t have to. Chiropractic care can alleviate and even help resolve these issues—heck, it can even help establish pelvic balance which creates more space for your developing baby! But isn’t back, hip, and joint pain normal during pregnancy? Everyone said I might suffer from swollen feet. Won’t my body just do its thing? Although pain and discomfort are common during pregnancy, it doesn’t have to be. Wow, let me say that again. You Don’t Have To Be In Pain While Pregnant, AND You Can Wear Those Cute Shoes Too! When you’re pregnant, your body is releasing more relaxant hormone which causes your joints to become more easily moved since your ligaments become looser. This is natural because your body is getting ready to push a baby, but you don’t start to push until the baby’s fully developed. While the hypermobility is normal, it does require attention so that it doesn’t become a problem. That’s where chiropractic care comes in. Regular visits to your chiropractor can determine positive body alignment in the spine, hip, pelvis, sacroiliac, etc.. So is it really safe to see a chiropractor while I’m pregnant? All chiropractors are trained to see pregnant women, it’s just part of the studies. There are some chiropractors that take more interest in prenatal care and pursue more training/certifications. Chiropractors who see you will have special tables you will rest on to accommodate your growing belly. Their techniques will focus on reducing discomfort and pain, and will avoid putting unnecessary pressure on your abdomen. How do I know my chiropractor specializes in prenatal care? You can call and ask if they have a special training/designation for prenatal care. You’re looking for the designations; DACCP (Diplomate with ICPA), CACCP (Certified with ICPA), Member of ICPA, or Webster Certified. In less fancy words, they accomplished higher education to better care for you and your growing baby. Is chiropractic care covered by my insurance? More than likely yes! Most health insurance includes chiropractic care as it is a proven science for treating pain and trauma. With the rise in popularity, chiropractors have become more accessible, some opening up their own practices with a low monthly subscription cost (kinda like a gym) instead of accepting insurance. Chiropractic care has become much more accessible and the cost to get it has dropped significantly. What other services do Chiropractors offer? Can I see them after baby is born? Chiropractors may offer services such as cupping, acupuncture, massage, diathermy, hydrotherapy, laser therapy, etc.. As new information on the benefits of chiropractic care becomes more available, and technology betters, chiropractors are becoming a primary source for preventative care and health maintenance. Seeing a chiropractor for routine maintenance is just as important as you getting your car’s oil changed. You won’t stop caring for your cars insides just because you filled the gas tank once. Your body deserves as much, if not more attention! Post-partum chiropractic care can help you keep your body healthy and balanced as your ligaments are tightening up again. Another aspect not always considered until you feel the pain, is the fact thatyour body is going to start moving differently to accommodate for breastfeeding, diaper changing, carrying your bundle of joy (feels like a bundle of bricks sometimes…cute bricks), as this can cause your nerves and joints to misalign. You can ease your body into these routines through regular post-partum chiropractic care. How long should I wait before I see a chiropractor? It’s never too early to see a chiropractor, as some even specialize in pediatric care. One of our favorite Chiropractors in Orange County, Billy DeMoss, specializes in various types of care, including chiropractic care for pregnant women and their babies. His practice is located in Newport Beach, CA—you can learn more about DeMoss Chiropractic Here. also, please don't wait until there are textbooks of pain on your pack like the woman above. Ha! So if you want to live a healthier and happier pregnancy, you need to get yourself a chiropractor! If you would like to learn more about chiropractic care for pregnancy, or Doula Services, feel free to CONTACT US HERE. You can also follow us on FACEBOOK HERE, or @BABYLOVENCP INSTAGRAM HERE. Christy Gochez is a certified Advanced Doula, Childbirth Educator, Infant/family CPR instructor, Placenta Encapsulator, and owner of Babylove NCP (https://www.babylovencp.com) in Orange County, California. She serves families and expecting couples who are looking for natural childbirth and parenting services and resources. In this blog we have our in-house lactation expert, Jennifer Horne, explaining how you can help increase your milk supply. Keep reading for 5 tips to fuel your milk supply! Eating healthy can be overwhelming for most people. There’s even more pressure when you’re nursing a baby. Even if you went crazy during your pregnancy and ate ice cream sundaes every night and ditched the vegetables because they turned your stomach (this was me), it’s not too late to make some simple changes to fuel your milk supply. Balanced nutrition is what’s important and here’s why. What you eat impacts the quality and composition of your breast milk. This is especially important during the first six months or so when your breast milk is the baby’s sole source of fats, protein, antibodies, vitamins, minerals, probiotics, etc. You can still eat those sundaes but it’s important that get the greens in too! What you eat can also affect the amount of breast milk you produce. Since breastfeeding demands additional calories a day, it’s important that your intake is increased and maintained in order to produce enough milk to grow your baby. In other words, this is not the right time to start a diet. Lastly, being a new mom is exhausting (the lack of sleep, physicality of holding baby, worrying, maintaining a household etc). It’s important that your meals are balanced so you can stay healthy, avoid becoming run down or sick, and maintain a positive mental state. Don't skip meals. Try eating smaller meals every few hours. Keeping your stomach fueled will maintain your milk supply and will help you avoid overeating. For example, apples and peanut butter, greek yogurt with granola, and turkey, cheese, and lettuce rollups are all good options. Try to eat whole foods. The less ingredients the better. The trick is to shop around the parameter of the grocery store to avoid the processed packaged foods in the middle. Up your protein intake. Instead of eating a bagel in the morning, try a couple of hard boiled eggs and some oatmeal. Up your veggie intake to meet your fiber needs and to ensure you are getting your daily vitamins. Maybe add a small green salad to your lunch or cooked veggies tossed into some scrambled eggs in the morning. Hydrate, hydrate, hydrate. Drink to thirst. But believe me you will be thirsty a lot. So have a water bottle handy and close by at all times. Don’t drive yourself crazy stressing about losing the baby weight. It will happen and moderation is key. Making simple small changes can make all the difference. Focus on that precious baby and keep in mind…..you are feeding another human being with your own amazing body.